The Chinese places a huge emphasis in eating a big meal with lots of people so the atmosphere is loud, boisterous and crazy! 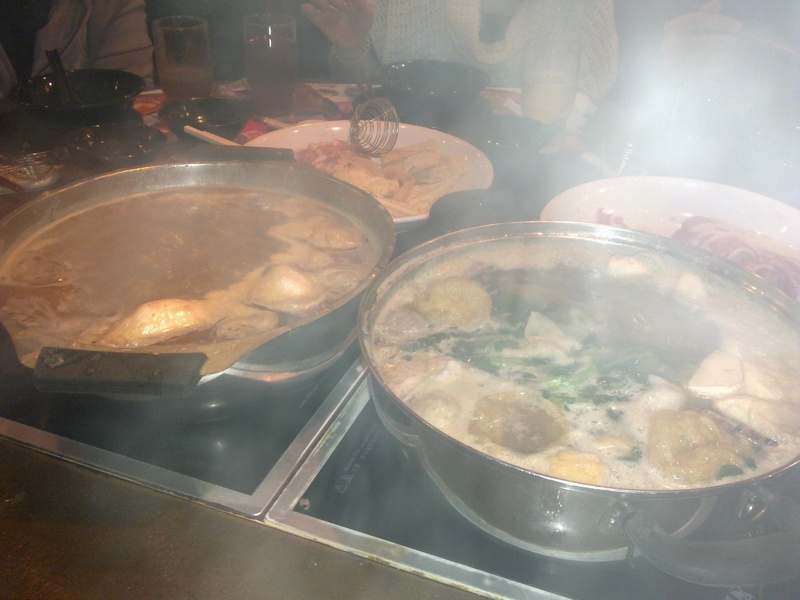 Hot pot is just the place to go for a crazy evening of eating, chugging down a few beer, and talking loudly over a pot of steaming hot water with tons of meat, dumplings, and veggies! Since living in HK for the past three years, I have started picking up on the likability of this style of eating. I am not too wild having the smoke and steam smogging over my face or the smell that is left behind on my clothes, but this is getting to be a very fun type of eating out for me lately. 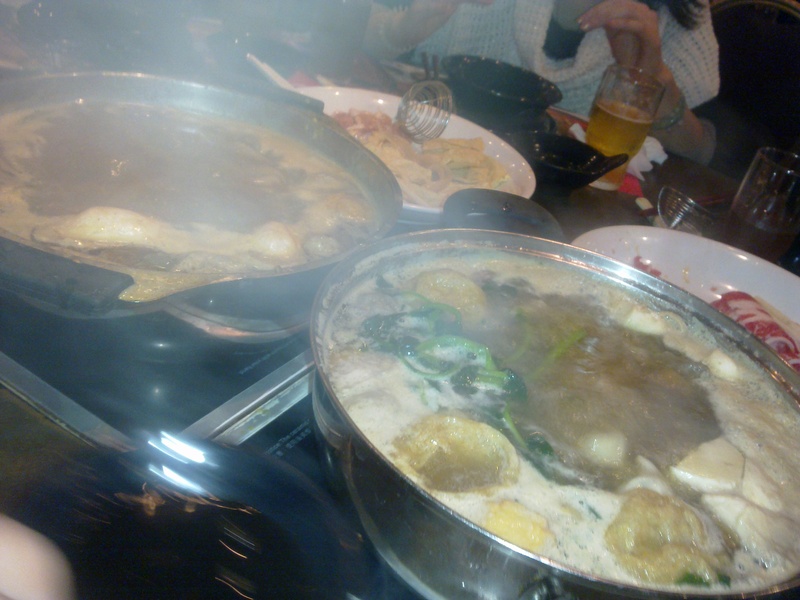 I like all-you-can-eat hot pot the most because when you’ve a table of 8-10 people, you’ll be surprised at how much food you can chug down and how loud and crazy you can get! I think the smelly steam and fog really kickstart the evening and elevate the mood, especially when you start getting hot and removing jackets and sweaters, it automatically gets you hyper. 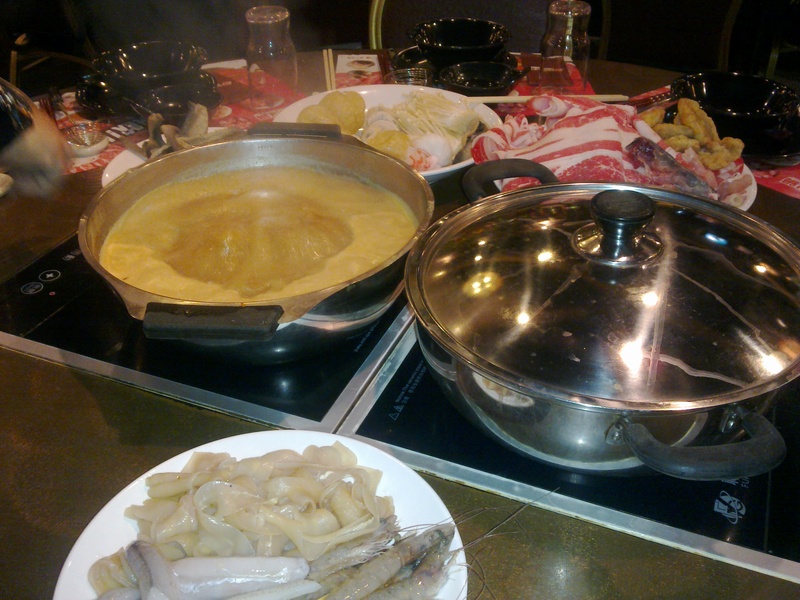 the food floating on top indicates they are cooked and can be eaten!